Accession negotiations are the final stage of the integration process of candidate country to the European Union. It negotiates about the terms under what conditions candidate country accesses the EU, which are basically related to the harmonization of domestic legislation with the EU acquis. The new the European Commission’s approach to negotiations with the future Member States requires that negotiations about Chapters 23 and 24 need to be open first, which cover the area of judiciary and fundamental rights, justice, freedom and security. Chapter Judiciary and Fundamental Rights is new, it was introduced after the sixth wave of the EU enlargement. Policies of the judiciary and fundamental rights aim at preserving and enhancing the European Union as an area of freedom, security and justice. Meeting the requirements of this chapter, Serbia needs to implement a number of reforms and activities that have a direct impact on the daily life of citizens. In terms of content, Chapter 23 is divided into four thematic areas, which include: judicial reform, anti-corruption policy, fundamental rights and the rights of EU citizens. Independent judiciary, with necessary capacities to maintain and protect the rule of law is the cornerstone of these policies. In the European Union, perceiving the importance of the existence of independent and efficient judiciary, it is defined a series of recommendations for achieving the impartiality, integrity and high standards of the judiciary. It requires a serious commitment to eliminating external influences on the judiciary, allocation of adequate financial resources and training. In addition, Member States are required to effectively fight corruption, because it represents a threat to the stability of democratic institutions and the rule of law. Subject that is discussed in this chapter refers to the fulfillment of the political criteria that are an essential precondition for further integration. There are few regulations at EU level governing this area and most part of them are left to the Member States to regulate these issues on the best way and to comply with standards that are the foundation of the European Union. Considering that the aim of the negotiations that a candidate country joins the EU, it is necessary to establish mutual trust and to ensure the functionality of the system, respecting the values of the European Union itself. Under the General EU Position for the accession negotiations with Serbia (the “Negotiation Framework”), the Commission is requested to keep the Council duly informed on the state of advancement of negotiations under the chapters “Judiciary and fundamental rights” (Chapter 23) and “Justice, freedom and security” (Chapter 24), and to report to the Council twice a year. Since the opening of accession negotiations in July 2016, and following the presentation of the annual report for Serbia in November 2016, this report is the second semi-annual stock taking moment. The review of the Republic of Serbia at the United Nations Human Rights Committee is taking place in a tense political climate in Serbia, and after years of continued deterioration of rights to freedom of expression, in particular media rights, and restrictions to the possibility to participate to public life in general. Previous three years in Serbia have been marked by an evermore growing decay of institutions and the rule of law. 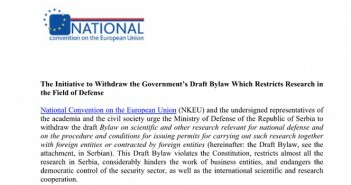 This Report is intended for additional information for the Committee’s consideration of Serbia’s report, submitted under the Article 40 of the International Covenant on Civil and Political Rights. The main focus of this Report is on human rights issues already identified in the List of Issues, the Committee adopted on 29 July 2016. 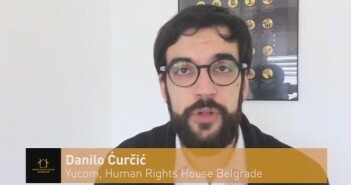 Having in mind that this Report is a Joint Submission of the Lawyers’ Committee for Human Rights and the Belgrade Centre for Human Rights, it is drafted on more than 15 pages, as instructed by the Committee in its Information Note for NGOs. Please find attached the six-month report that the country has prepared on the implementation of the Action Plan for Chapter 23 and that will be submit to Brussels. 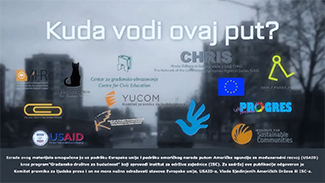 It was announced today during the meeting between civil sector and governmental Negotiating Group for Action plan for Chapter 24, which was established in the middle of last year, that in January Serbia will deliver to European Commission the first half-yearly report concerning realization of the Action Plan for Chapter 24, which encompasses justice, freedom and safety. 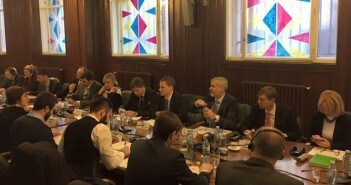 The president of Negotiating Group for Chapter 24 from Ministry of Internal Affairs Zoran Lazarov has said that last year was exceptionally successful for Chapter 24 – it has been opened, Action Plan and negotiating position have been accepted, we received the transition criteria as we expected. 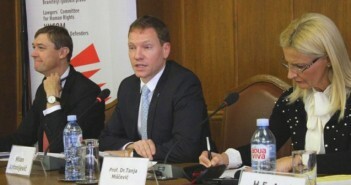 Milan Antonijević, director of the Lawyers’ Committee for Human Rights, opened the conference by expressing his satisfaction with the composition of discussion participants divided into two panels, both on very significant topics, that include national minorities and fundamental rights, as well as documents developed during the negotiation process with the EU within the scope of Chapter 23. Mr. Antonijević reminded everyone that the National Convention on the European Union (NCEU) forwarded the invitation by the Ministry of State Administration and Local Self-Government to all members and organizations that deal with national minorities and expressed his hope that the discussion on the Report on the Implementation of the Action Plan for Implementing Chapter 23 will be fruitful. The head of the negotiating team Tanja Miščević said that Serbia is interested in opening three more chapters by the end of the year concerning European Union membership negotiations. She has also stated that main challenge in realization of obligations provided by Chapter 23 rests in the rule of law. At the conference “Implementation of the activities envisaged by the Action Plan for Chapter 23,” Miščević said that at this point EU Council contains three chapters, Chapter 5 regarding public procurement, Chapter 25 and 26 concerning teachings, research, education and culture.